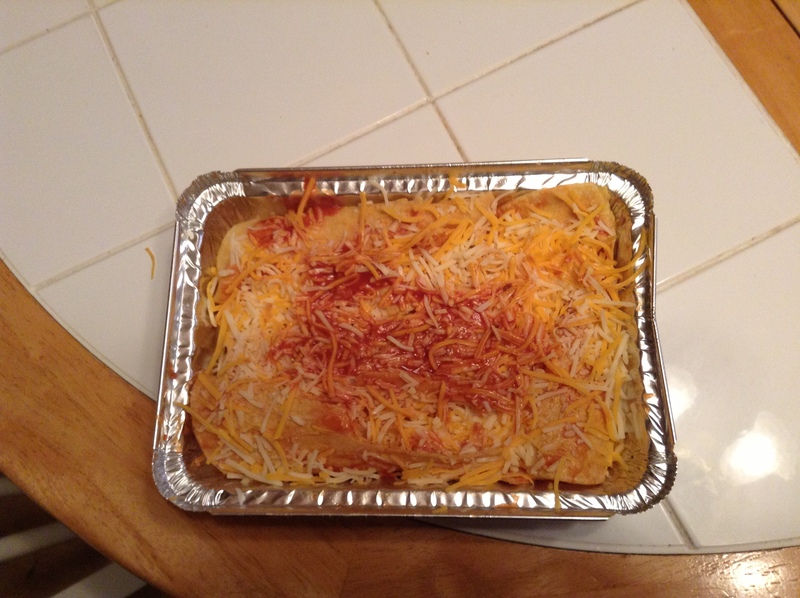 One of my go to recipes for a quick meal is cheese enchiladas. 1 teaspoon chipotle powder for smoky flavor. For smoky flavor without heat use paprika. Coat a baking dish with cooking spray or butter. Pre-heat oven to 350 degrees. Heat chicken broth in a small skillet or medium sauce pan. Heat or make enchilada sauce. To make sauce heat tomatoes and spices. Stir until well mix. Heat until warm. Crumble cheese into a small bowl. Set up an assembly line with tortillas, chicken broth, enchilada sauce, cheese and baking dish. Start with dipping in broth until warmed, next dip in sauce, add a scoop of cheese mixture. I use a 1/4 cup scoop for this. Place in baking dish roll side down. Pack enchiladas into pan as tightly as possible. Top with remaining sauce and extra cheese. Bake at 350 for 15 minutes or until cheese has melted.